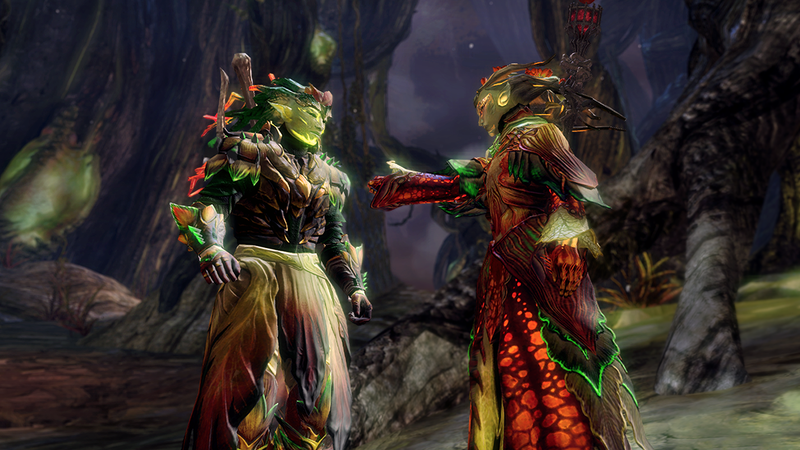 It’s not long until the sixth Guild Wars 2 anniversary, and we’re celebrating with sales every week! Keep an eye on the Gem Store for new sales and returning items. Starting today, the Living World Season 2 Complete Pack is 50% off, and the Living World Season 3 Complete Pack is 25% off. It must be fate! We’re not sure which timeline the mystical clocks are set to, but at least you’ll be fashionably late. 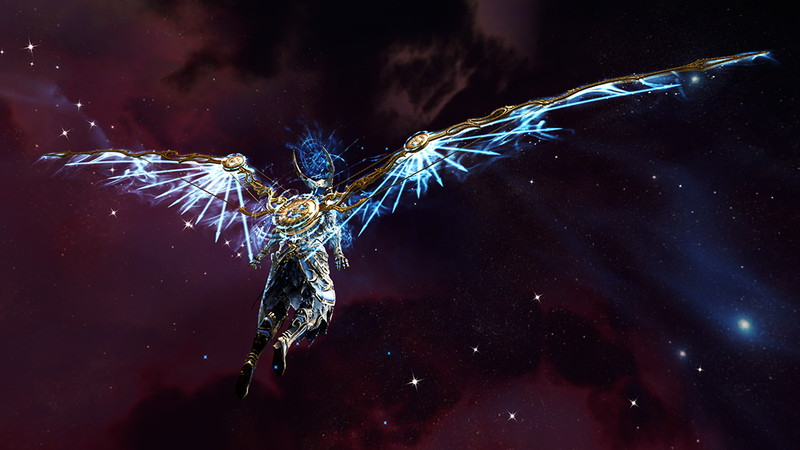 This intricate outfit and glider are available either separately or in a package containing a Timekeeper Outfit, a Timekeeper Glider, an Onyx and Gold Lion Weapon Choice, a Total Makeover Kit, and five Mordremoth Dye Kits. Can you hear the call of the jungle dragon? It’s saying you’ve got great taste. Each dye kit contains one of twenty-five disturbing dyes, including six new exclusive colors. 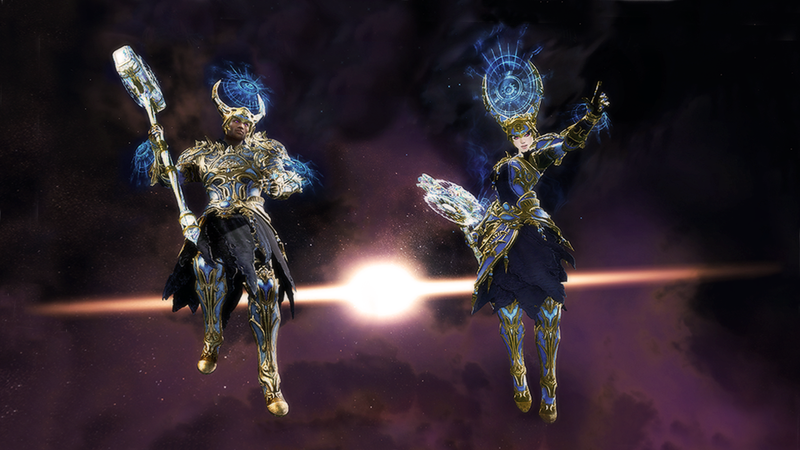 Black Lion Weapons Specialists are offering skins from the Timekeeper Weapon Collection for two Black Lion Claim Tickets each.